The resources below will help you get started with your child's Brush, Book, Bed routine! All young children need help with brushing from an adult to make sure a good job is done. When possible, teach children to spit out extra toothpaste, but don't rinse with water first. The little bit of toothpaste left behind is good for their teeth! Once teeth touch, they can also be flossed. Visit your dentist regularly starting with your child's first birthday or sooner if there are concerns. Your pediatrician can answer questions about oral health, too. Remember, the last thing to touch the teeth before bed is the toothbrush! As soon as baby is born, you can start good oral health practices. If possible, use a soft washcloth to wipe your baby's gums after feedings. Remember not to put babies to bed with a bottle filled with milk. And, when it is time to introduce solids, choose healthy foods to reduce the risk of tooth decay. For children under age 3: As soon as you see a tooth in your baby's mouth you can start to BRUSH! Use a smear (grain of rice) of toothpaste with fluoride 2 times per day. After toothbrushing and before bed, find a comfortable spot to sit and read with your child. Spending some time, even just 15 minutes each day, to read aloud together will help improve your child's language development and social-emotional skills. Make up your own stories, use silly voices, sing songs, and just enjoy this special bonding time with your child. Visit your local library or bookstore, and give your child the opportunity to explore different kinds of books. 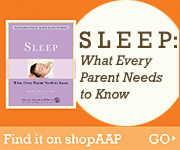 Sleep is very important to your child's health and well-being. In fact, good sleep habits start from birth. However, getting young children to sleep (and to stay asleep) is often one of the most daunting tasks of parenthood. Regardless of your child's age, the key is to have a predictable series of steps that help him wind down from the day. Set regular bedtimes (and, if appropriate, nap times) and stick to them. Do not wait for your child to start rubbing his eyes or yawning — that's probably too late. Putting your child to bed even 15 to 20 minutes earlier can make a big difference and ensure everyone has a good night's rest.